Written in 1944 by "Adams Farr" this slight tale of how a few Frenchmen fought against the invading German horde was promptly forgotten by readers until Chris Mikul, a booklover from Australia, found a copy and wrote about it in his new zine, Biblio Curioso. The tale is told by Loreley Vance, a young woman you won't be forgetting any time soon. Read Chris' excellent introduction to see why this book is such a treasure for anyone interested in crazy, forgotten books. 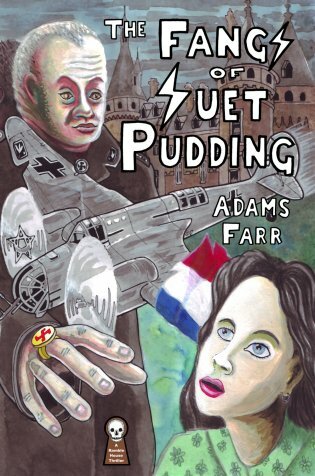 Tonight, as a tribute to Adams Farr and the brave men and women of France, why not have a nice bowl of suet pudding? To paraphrase Chris: "Yum, yum!"